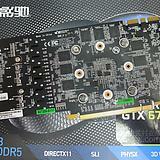 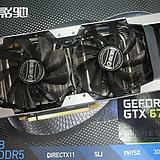 Galaxy GeForce GTX 670 GC 4GB version is starting to pop up in Chinese stores. 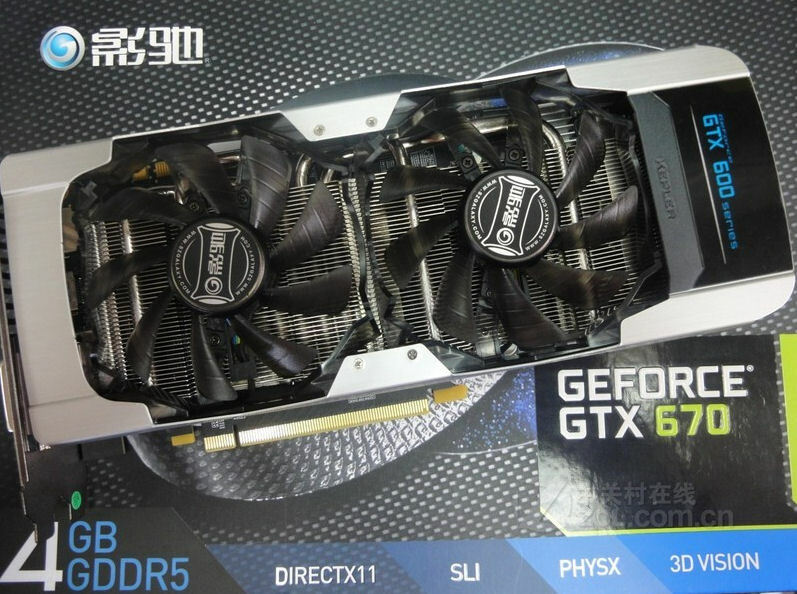 Although this model was listed officially for quite some time, you might find it hard to read a review of this card, because there simply aren’t any. 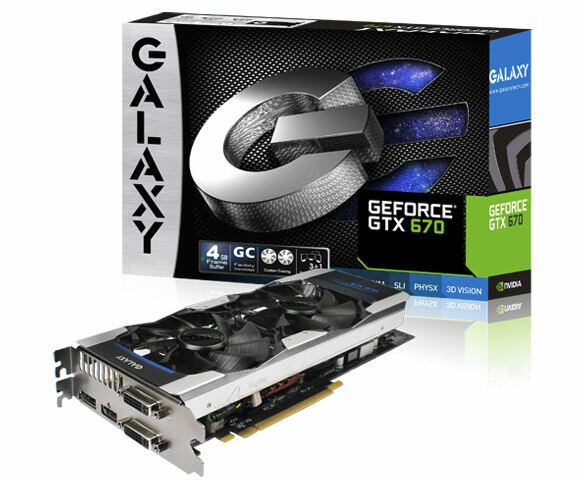 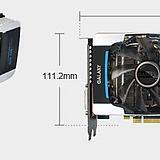 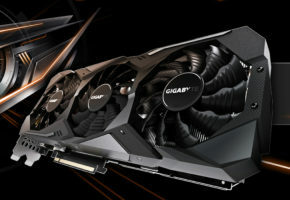 Galaxy have currently four GeForce GTX 670 models in their lineup. 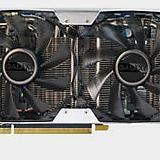 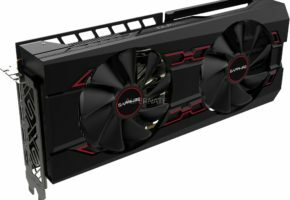 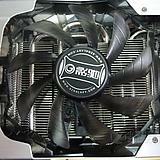 This consists of one GTX 680 reference-based model and three modified GC versions. 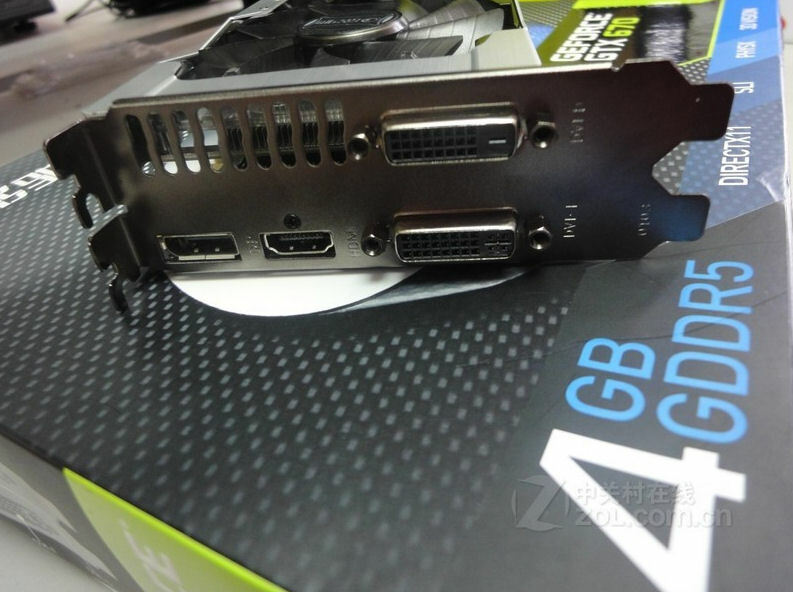 There are two GC 2GB models, which differ in revision of the board. 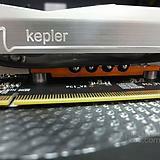 The 4GB model has only cosmetic changes, so it has the additional memory chips situated on the back of the PCB. 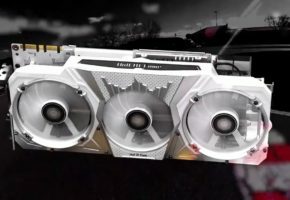 What is imporant is the fact that Galaxy did not add a backplate to this model, so the memory might not be highly overclockable. 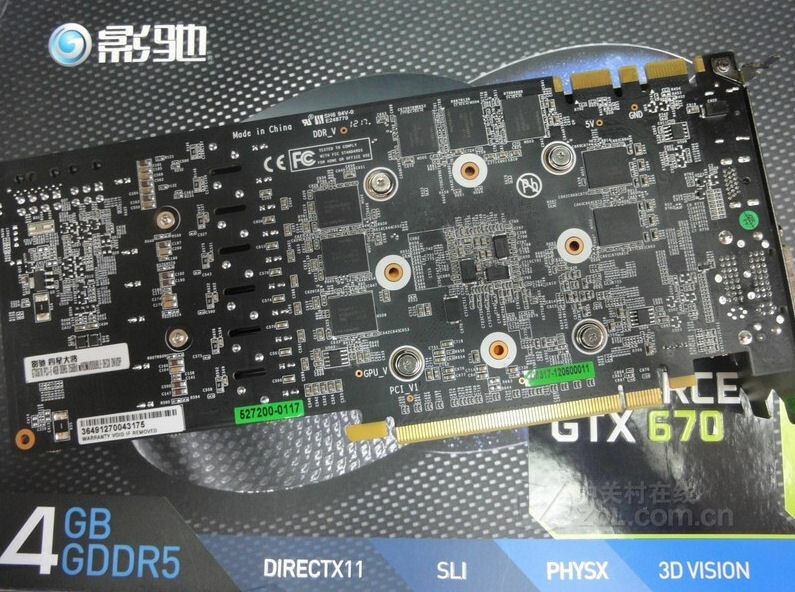 As for the card itself, it has default clocks from GTX 680 (since all those Galaxy’s models are based on GTX 680 board), these are 1006/1084/6008 MHz — base clock, boost clock and effective memory clock. 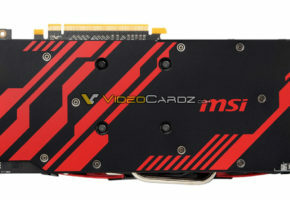 In comparison to the cheapest model this one has five phases power design for the GPU and two phases for memory. 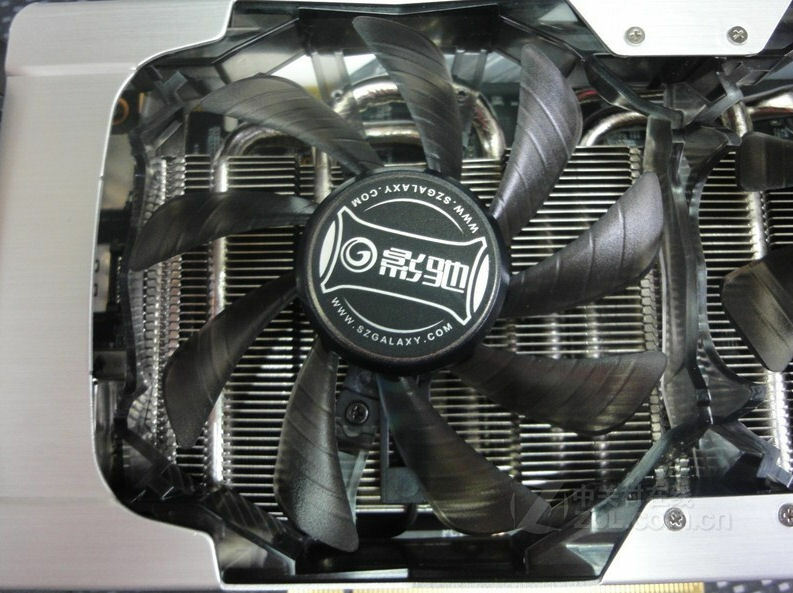 While it arrives with non-reference clocks and custom dual-fan cooling, it was equipped with 6+8 pin power connectors, to unleash even more overclocking potential. 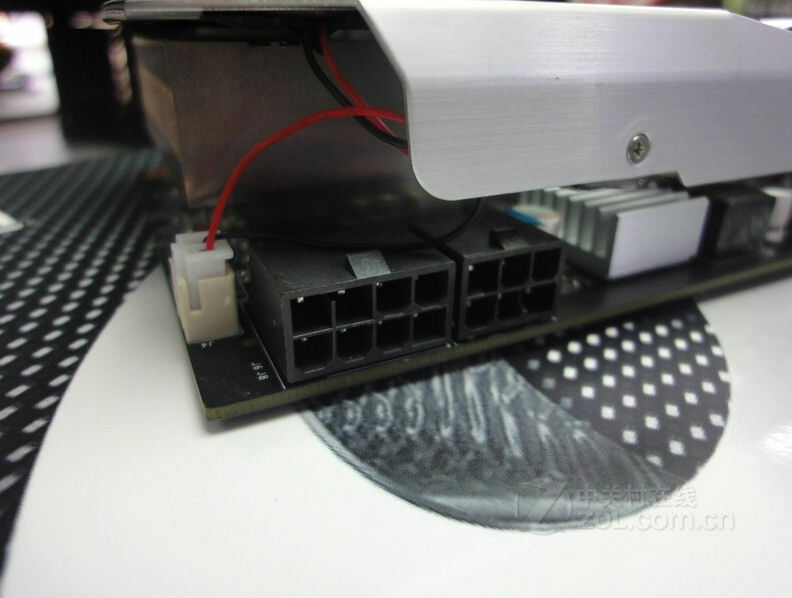 Card is currently available in China for 3299 Yuans ($520). 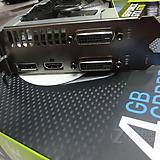 It does however rise a question if 4GB models are better and should cost more than 2GB ones. 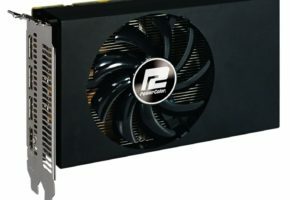 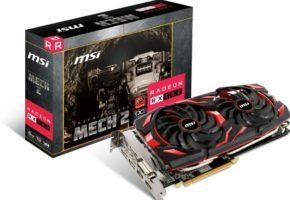 What I think is that these cards are completetly useless (considering they should be faster in higher resolutions) and there is no explanation why is the price much higher, when there’s almost no gain in performance. 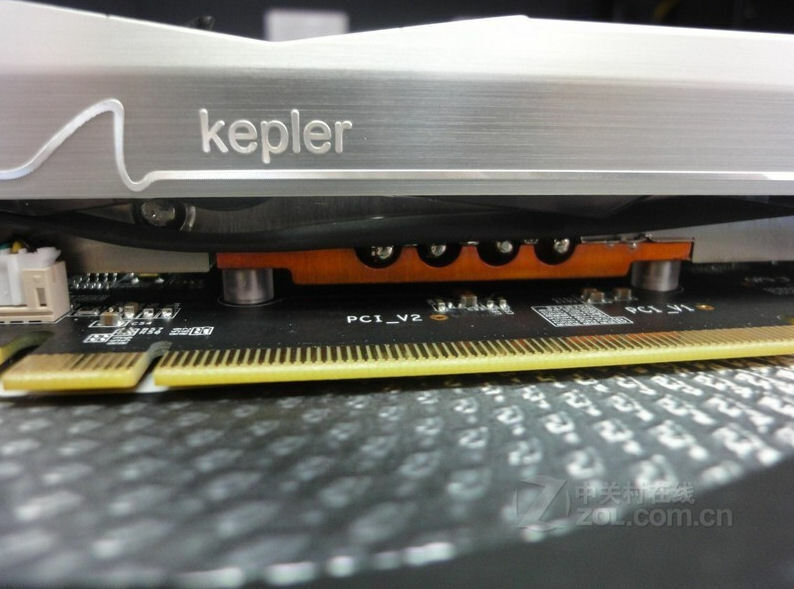 You can read this post from HardOCP forums (thanks Fomoz for the link), explaining that the limitation of the memory bandwidth is capping the performance so that you won’t notice any difference.